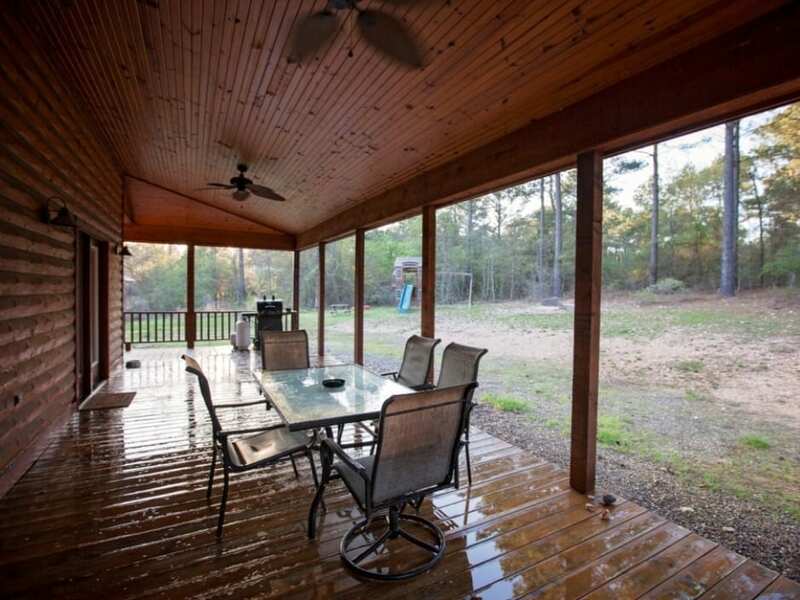 Life Is Beautiful welcomes you with a large covered patio with a rocking bench. 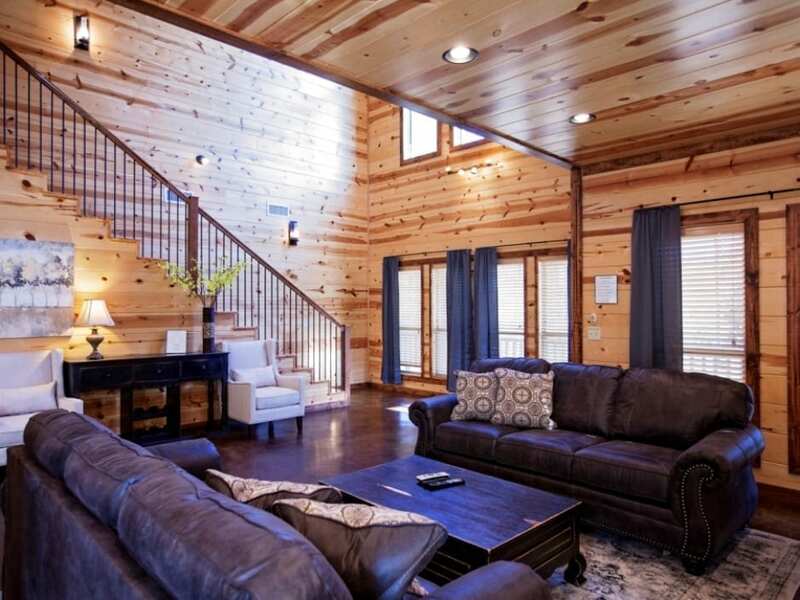 You stroll inside to a large, open floor plan with high ceilings. 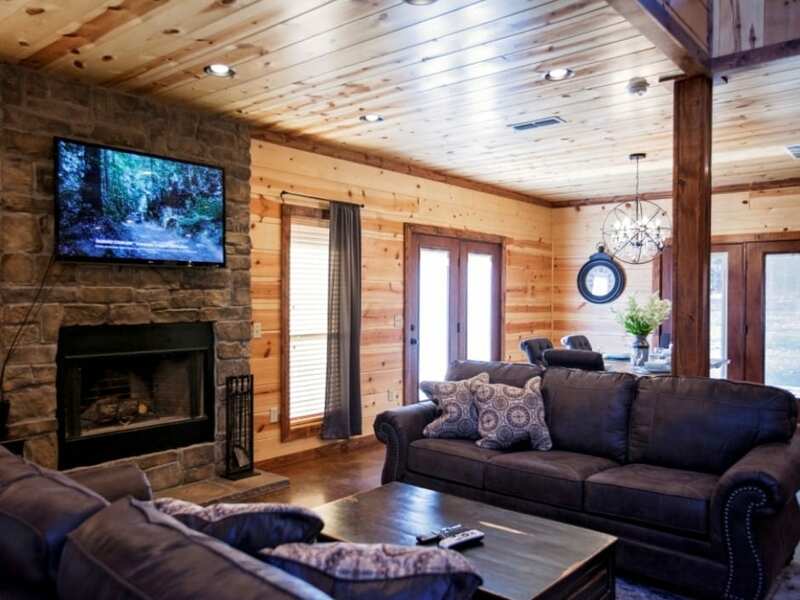 The living room has two leather sleeper sofas, a wood fireplace and a 50″ flat screen HDTV with Blu ray DVD player. 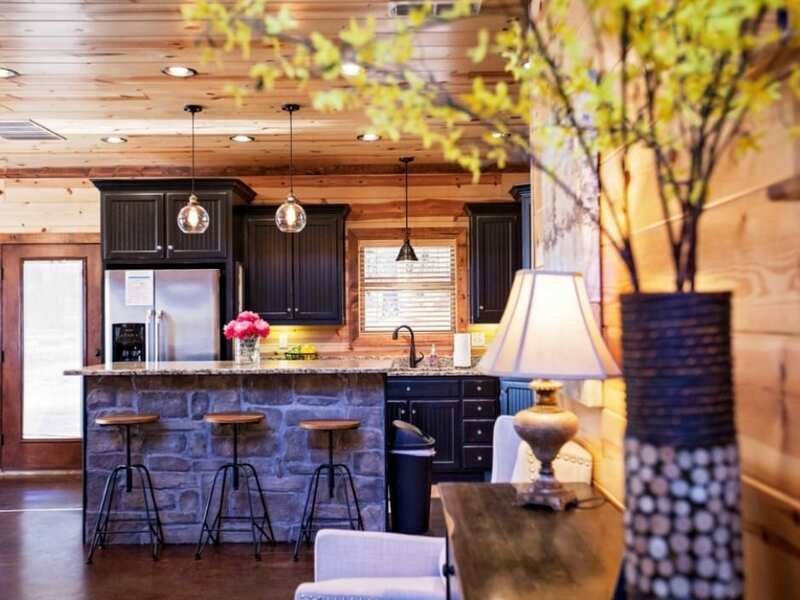 The living room merges into designer dining area and chef’s kitchen, with granite island and counter tops and upgraded appliances. 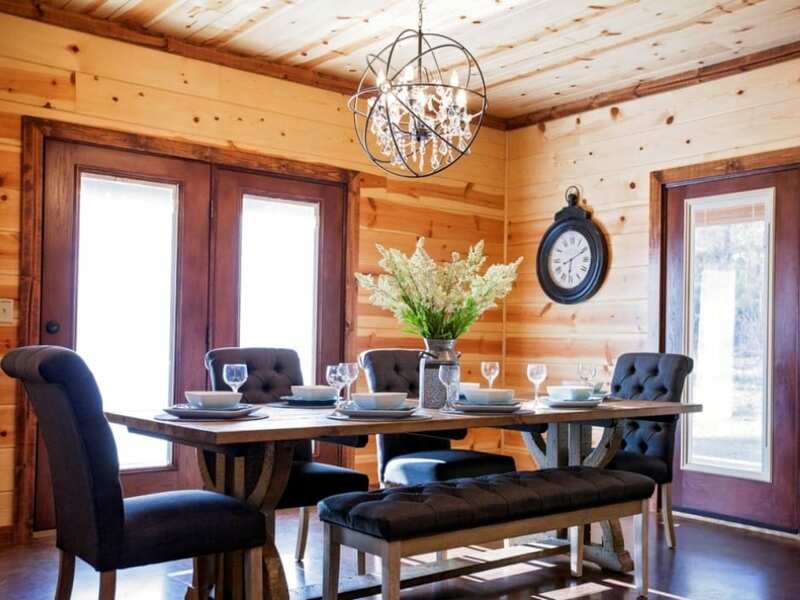 French doors off the dining area lead to an expansive patio and back yard. 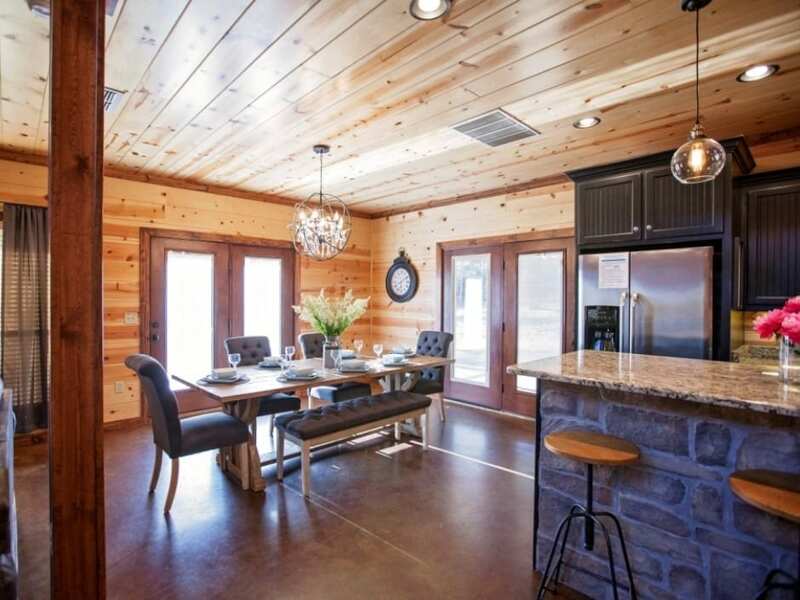 Large fans cool off the covered patio, where you can enjoy an outdoor dining table, hot tub and gas grill. 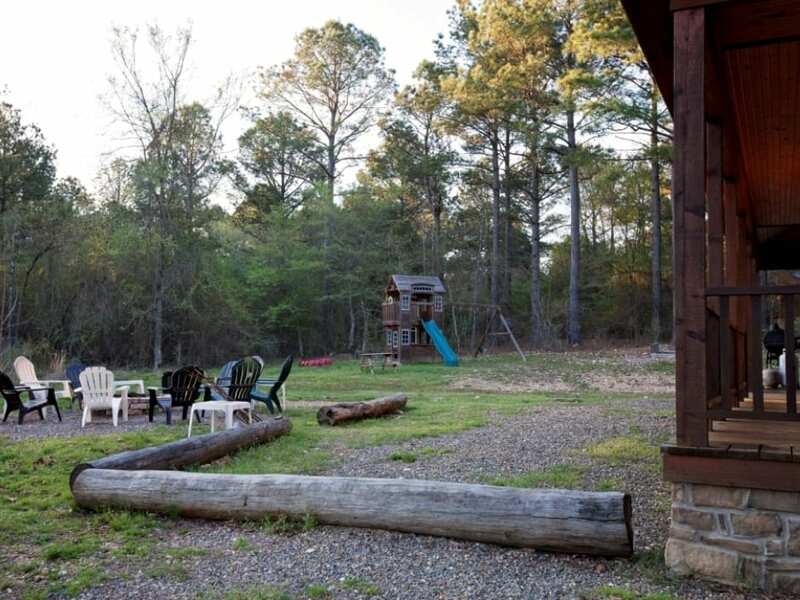 While the adults play horseshoes, the kids climb on the outdoor playground. 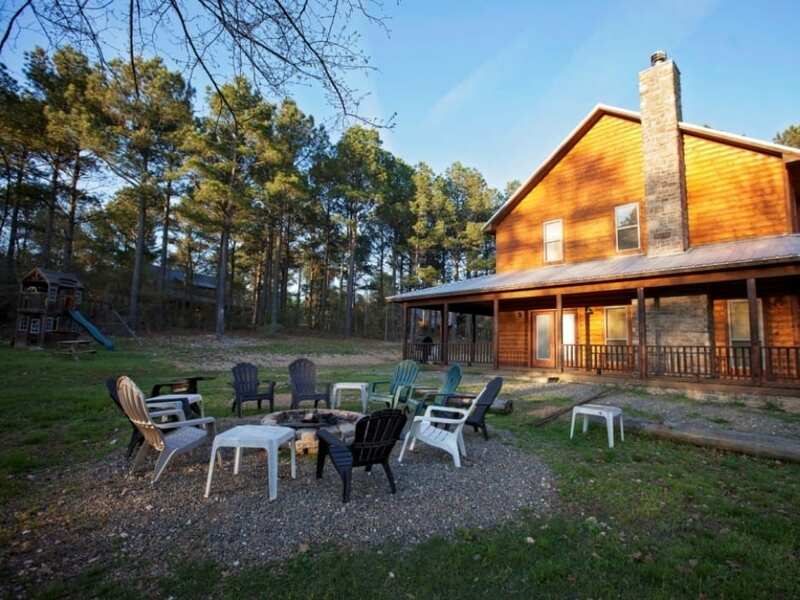 Once the sun sets, you all gather round the fire pit to enjoy some s’mores. 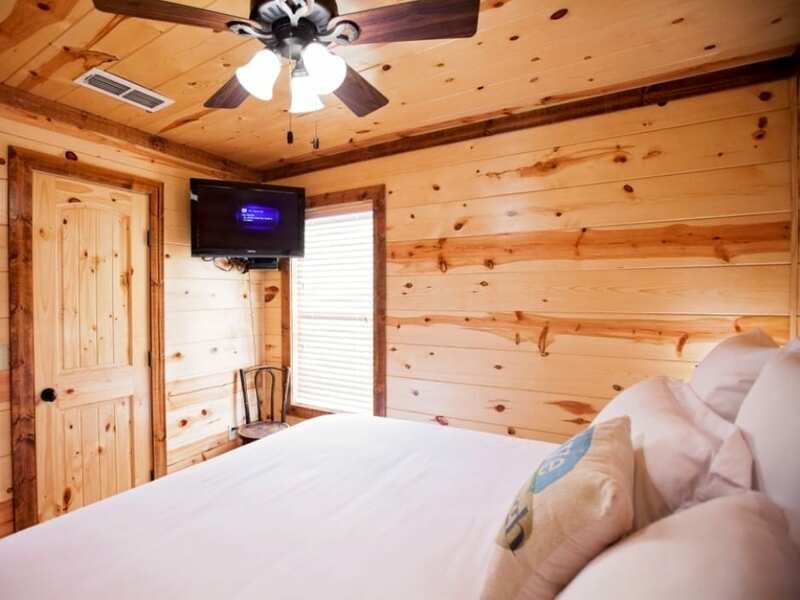 The master suite on the first floor has a designer king bed and 32″ HDTV. 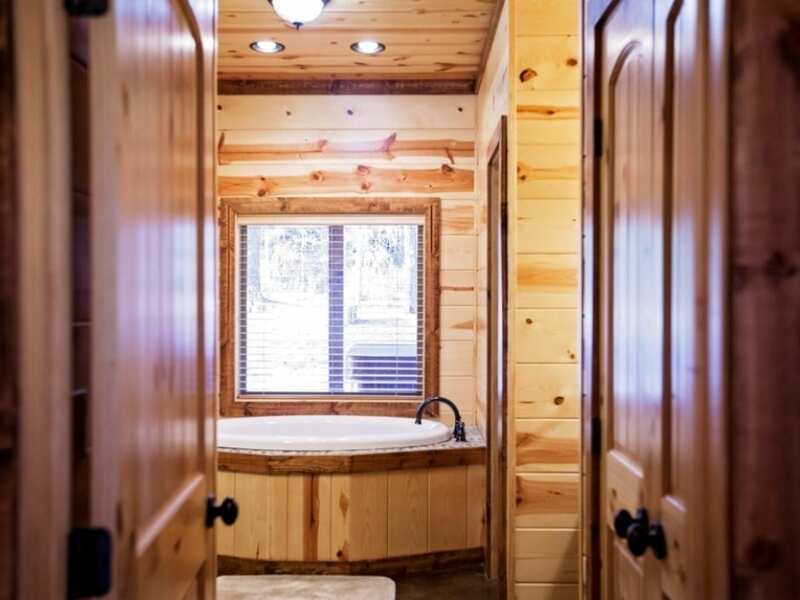 It includes an expansive master bath suite, with a serene soaking tub, a separate walk-in shower, “his and her” vanities, and a close-off bathroom. 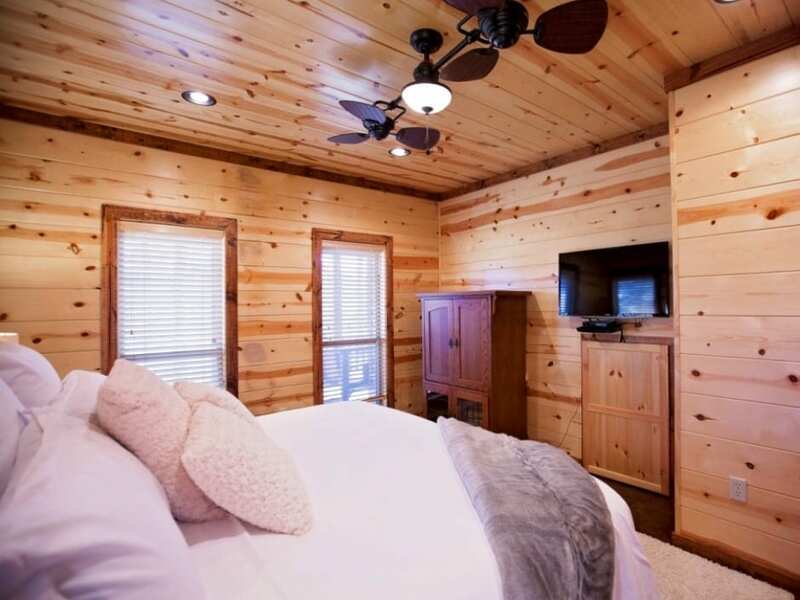 Upstairs, you enjoy a night of fun in the game room loft, which is equipped with a convertible pool / air hockey table, 50″ HDTV and a luxurious leather sleeper sofa. 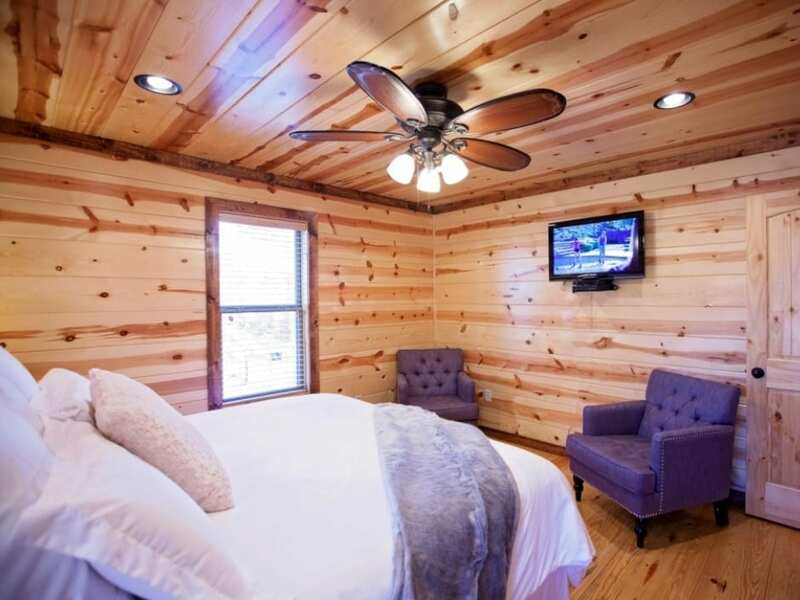 Also upstairs are 3 additional bedrooms, each with luxurious king beds and premium styled bed linens. 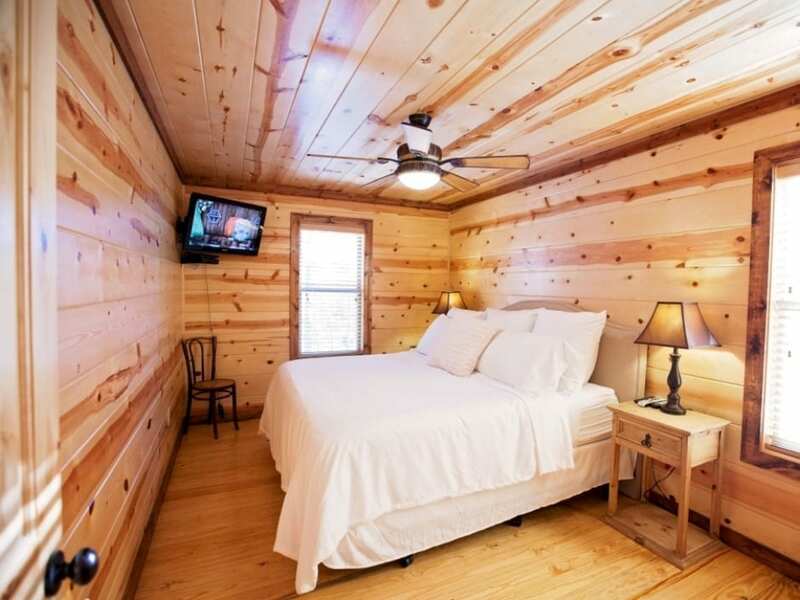 One extra large bedroom includes a private lounging area. 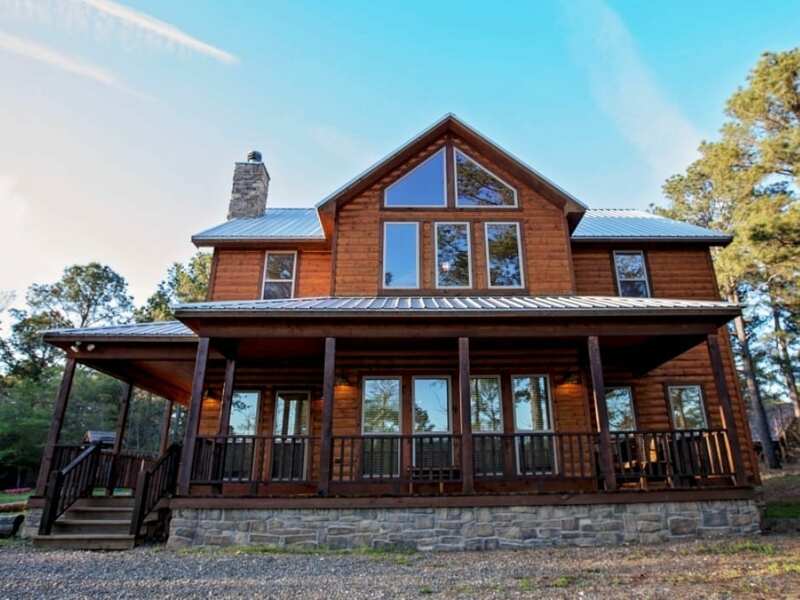 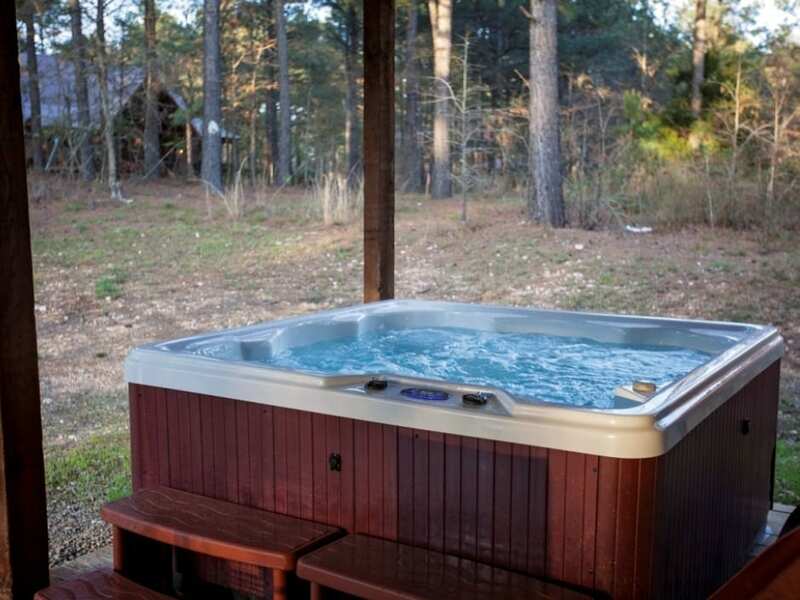 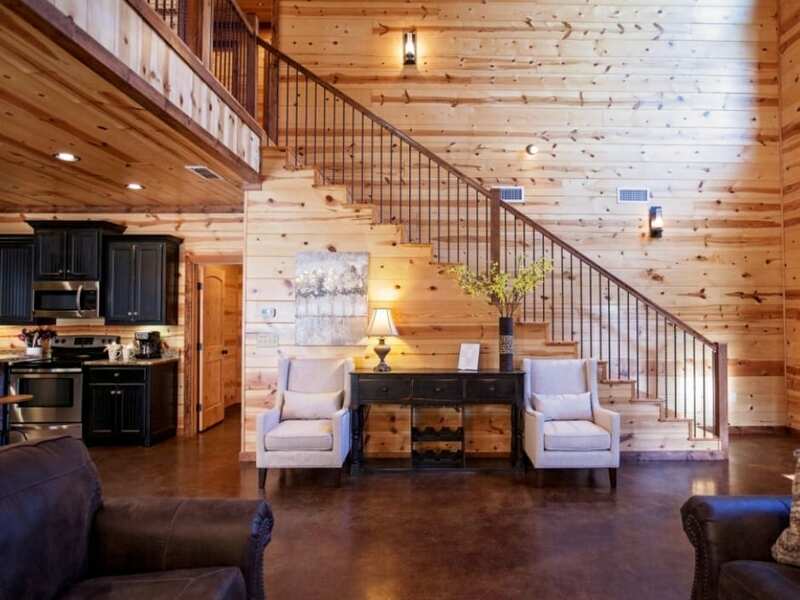 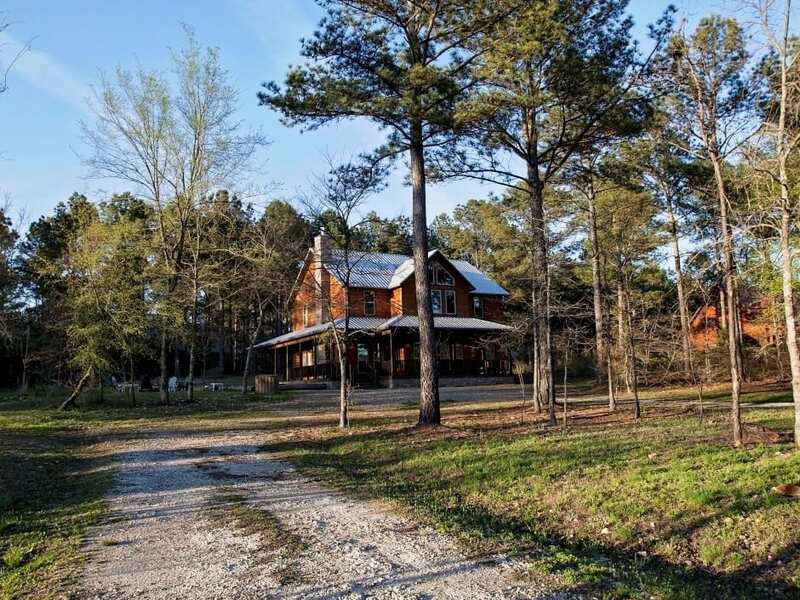 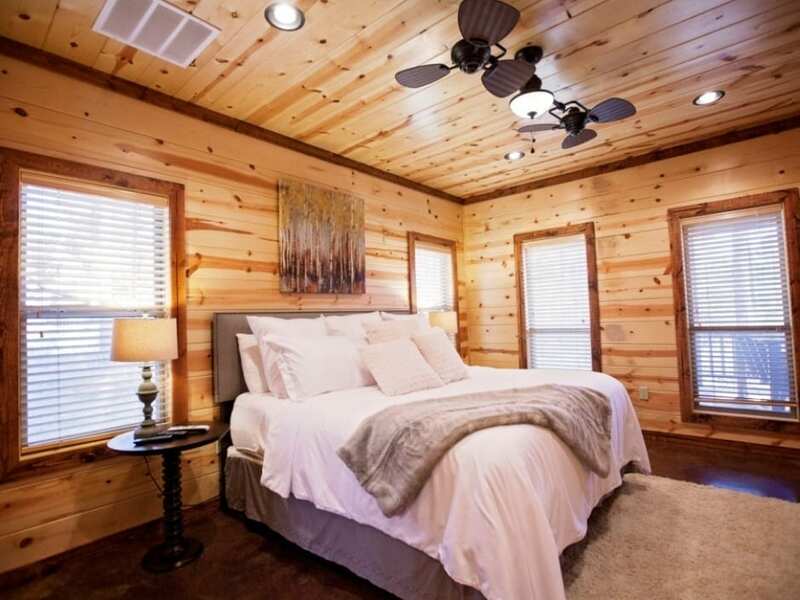 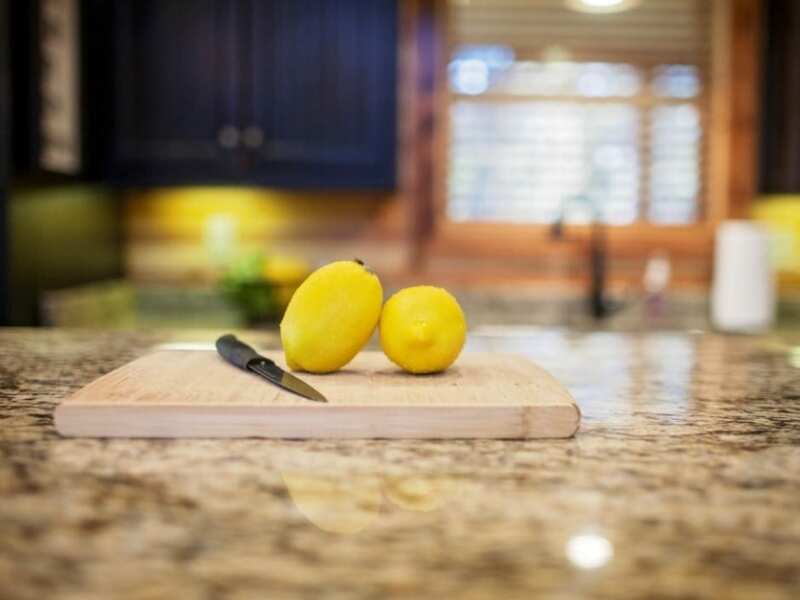 Located in Kaniatobe Trails South, Life Is Beautiful Lodge is a short walk to several of the area’s nicest restaurants and nightlife, and is a few minutes drive to Broken Bow Lake and Beavers Bend State Park. 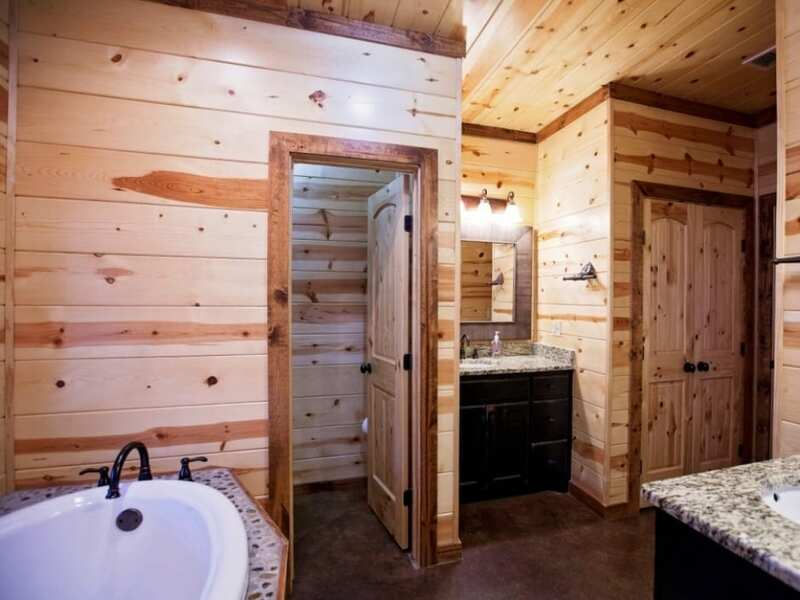 There is ample parking for several cars and a boat trailer. 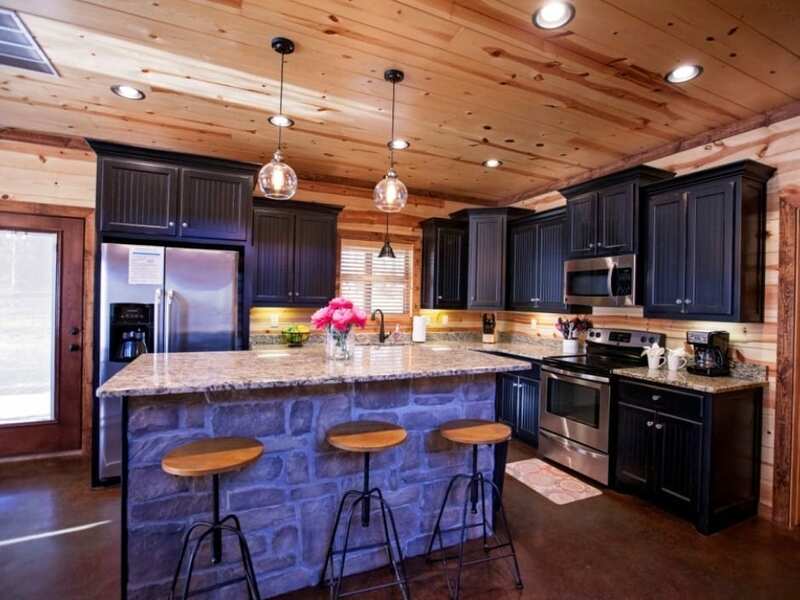 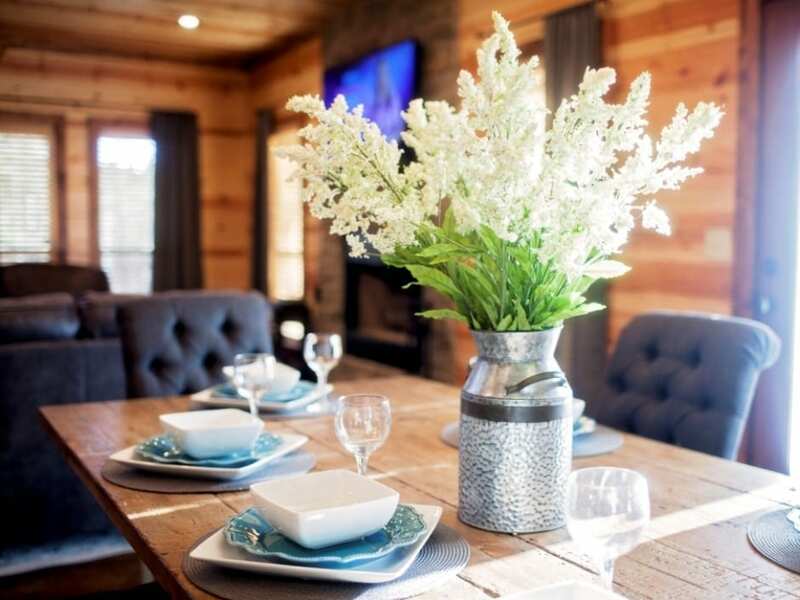 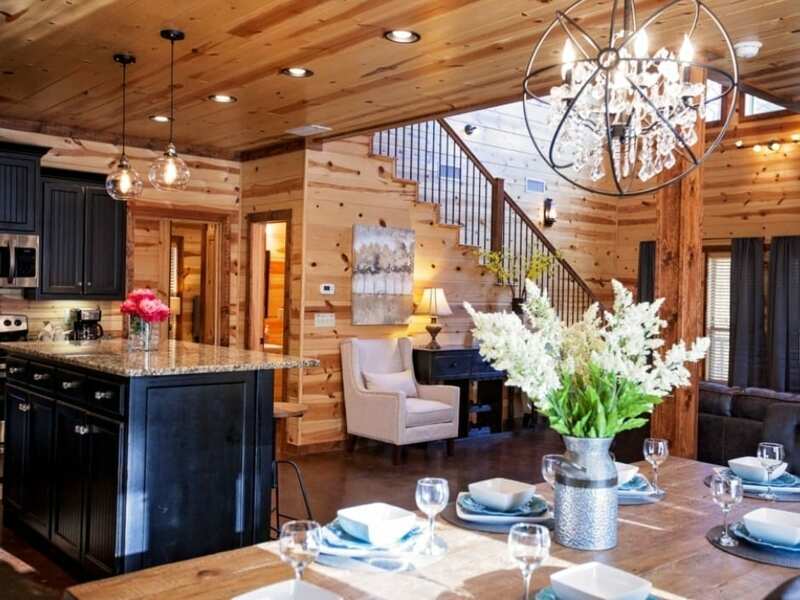 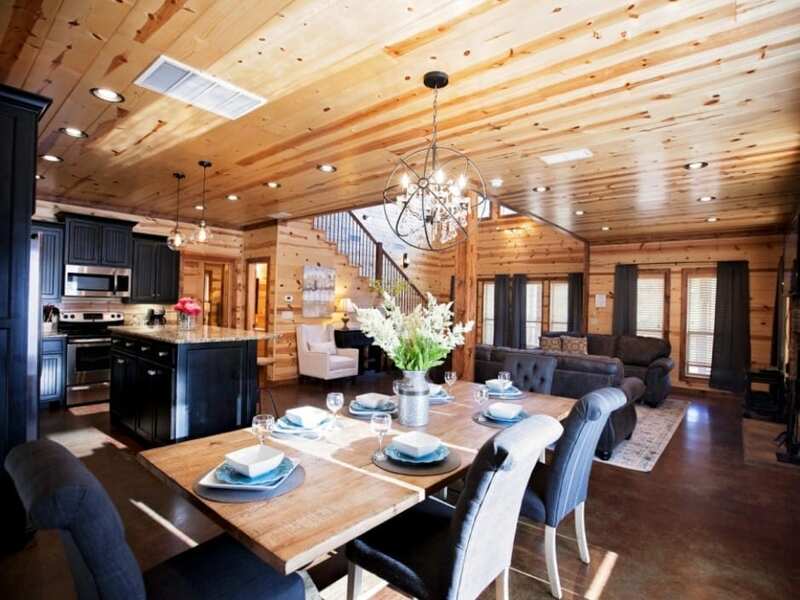 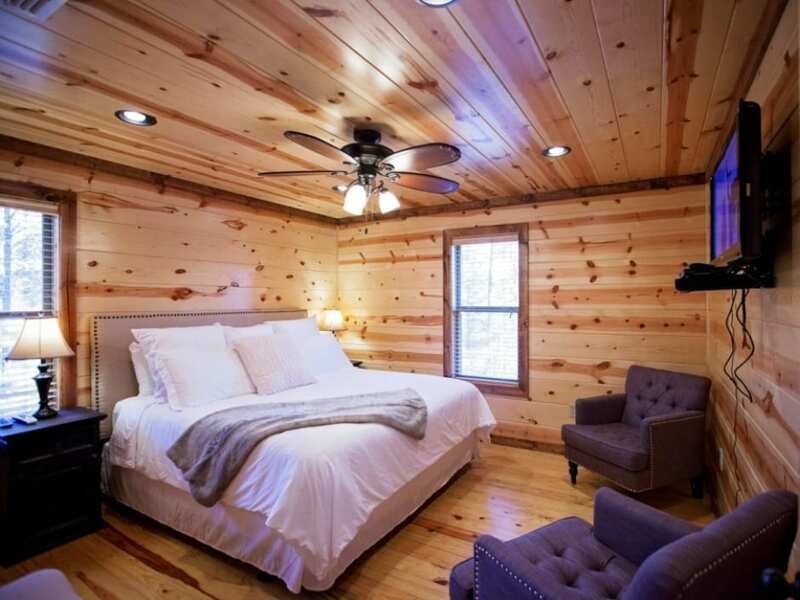 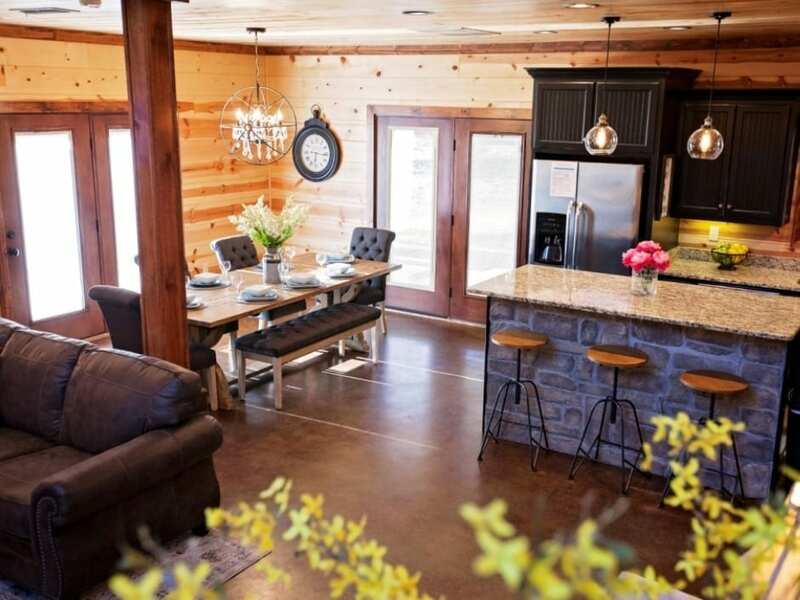 Life Is Beautiful is located next door to Loving Life, a luxury 1 bedroom cabin that sleeps up to 4 people. 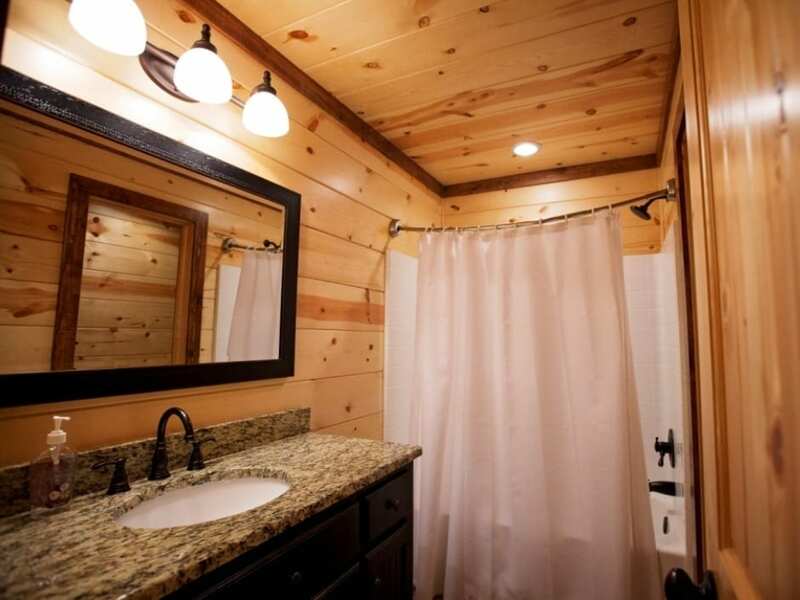 Both cabins can easily be accessed from each other. 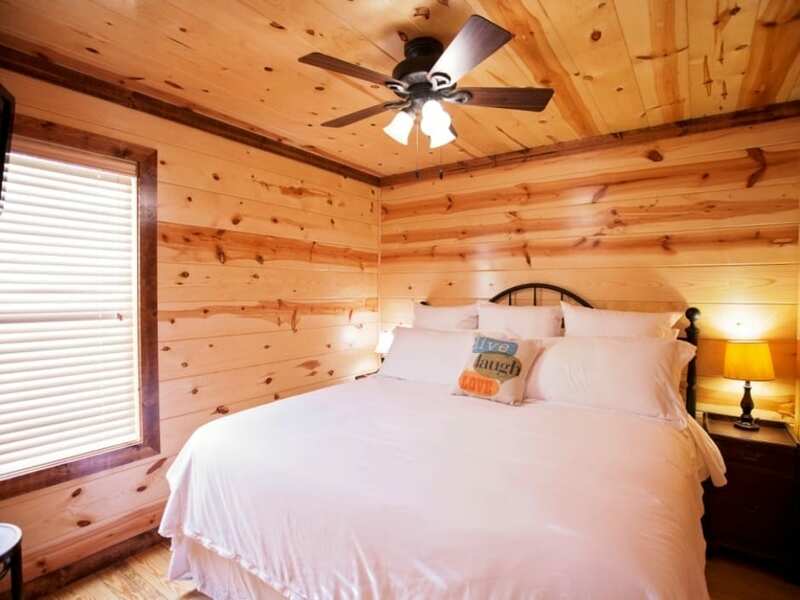 Rent both for your next family reunion or team building retreat! 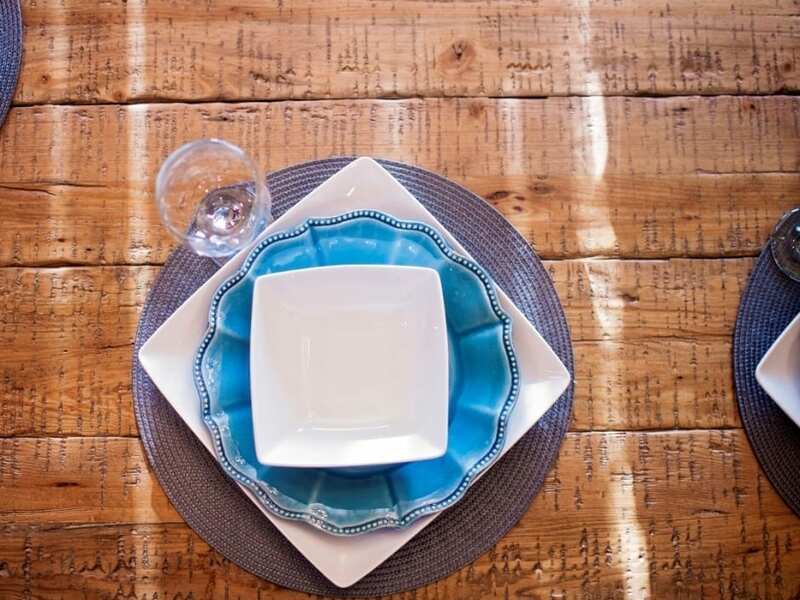 Let Life Is Beautiful cater to you!